Hello. 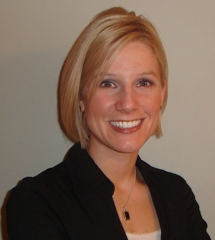 My name is Dr. Paula Weihler, and I am one of the top chiropractors in Yorkville and the Chicago area. I have successfully treated hundreds of patients who have experienced shoulder and arm pain, and I am certain that I can treat your pain too. There are many chiropractic techniques that I will use to help ease, and even eliminate, your shoulder and arm pain. Through a series of therapeutic exercises, muscle manipulation and other treatments in my office that is located at 201 East Veterans Parkway Yorkville IL, I will be able to get to the root of your pain, which will help me to treat your pain. Stop Living With Shoulder Pain. If you are living with shoulder or arm pain, you are doing so needlessly. You can come to see me at my office because I can get to the root of your shoulder and arm pain and will use the latest chiropractic techniques, as well as some tried, tested and true techniques to eliminate your pain. Do not suffer with the pain, contact Priority Health today!